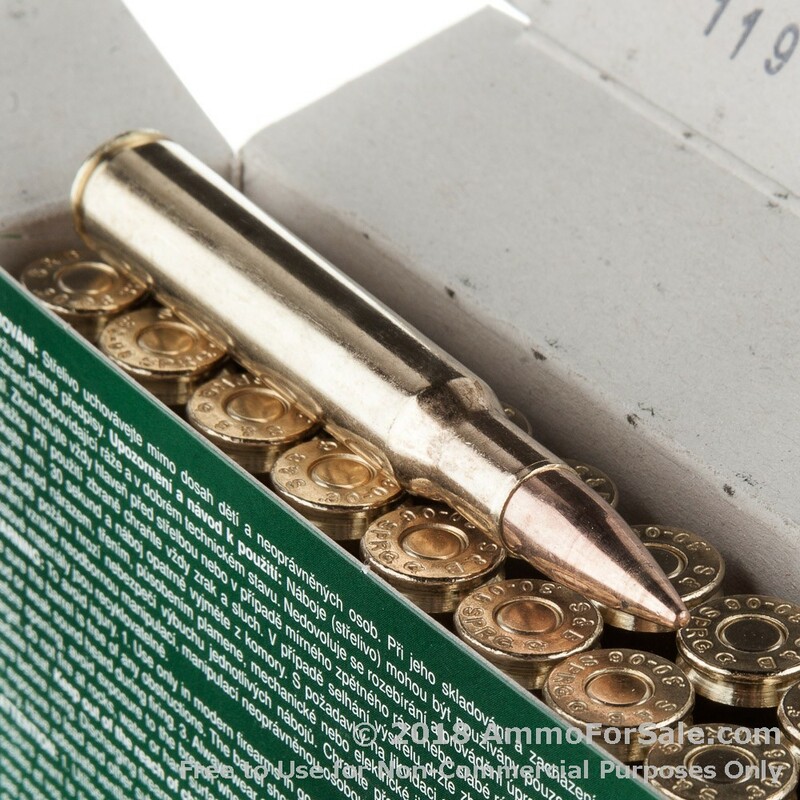 In 1906 the U.S. Army started using a bigger, badder cartridge: the .30-06. 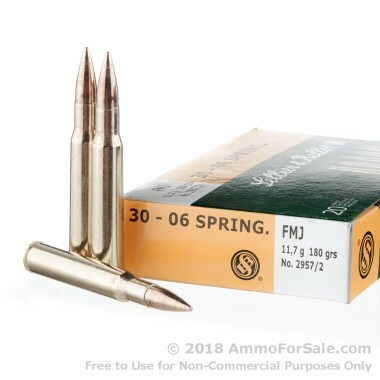 The “.30” is the caliber of the bullet and the “06” is, of course, the year it went into use. It didn’t take long for the cartridge to become immensely popular on the civilian market, and today it’s widely used both for target shooting and hunting. Although it’s often used for deer, experienced hunters have used it for a wide range of game including bear, Sambar deer, and bison. One of the great things about the .30-06 is that its power is right at the top of the felt recoil spectrum for the majority of shooters. Most shooters will develop a flinch with felt recoil above 20 foot-pounds of force, and the .20-06 hovers right around that point, making it just about the most powerful hunting round you can comfortably use. At 180 grain these are medium-weight rounds. They’re FMJ designed specifically for target practice, tactical training, and plinking; if you want to get some training time in for hunting season, this is the ammunition for you. Each round has fantastic speed, moving down-range with a muzzle velocity of 2673 feet per second and hits hard with muzzle energy of 2856 foot-pounds. These are new-production, non-corrosive brass cases with boxer primer. After you fire every round in the box you can police your brass, reload, and get even more range time in. Remember, shot placement is everything when you go hunting, so get some range time in! You get 400 target rounds in this box so you can spend serious time honing your skills with your favorite rifle. Sellier and Bellot manufactures this ammunition at their plant in Vlasim, Czech Republic. They were founded in 1825 by Louis Sellier, who was later joined by Jean Maria Nicolaus Bellot, and for almost two centuries they’ve been making ammunition to meet the needs of shooters just like you. 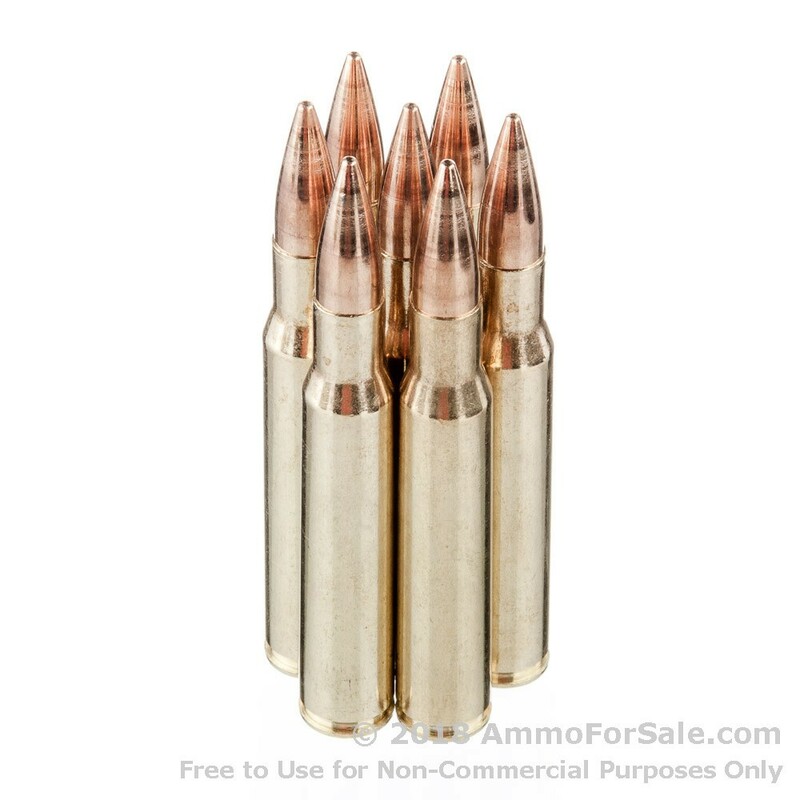 Your .30-06 is a powerful rifle capable of compelling force, and if you want to direct that force with accuracy, you need target rounds. Order this 400-round box today to improve your marksmanship and see your rifle reach its full potential.